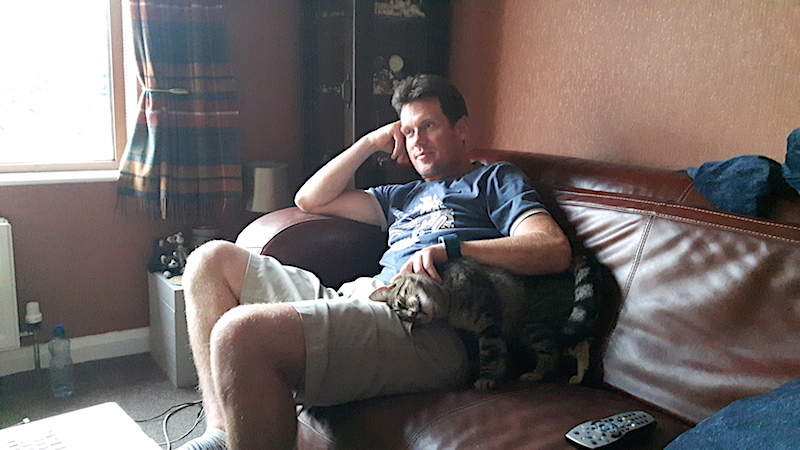 We’ve had a nice, relaxing week house sitting in Northern Ireland. 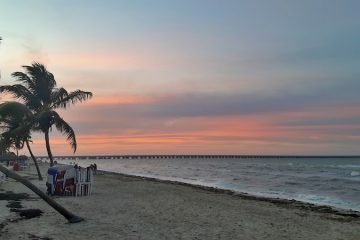 After a busy week on the road it was great to be able to be a little lazy :). While we spent a few days hanging out with Bonnie and Clyde, our new feline friends, we did manage to get out and about and do some exploring! 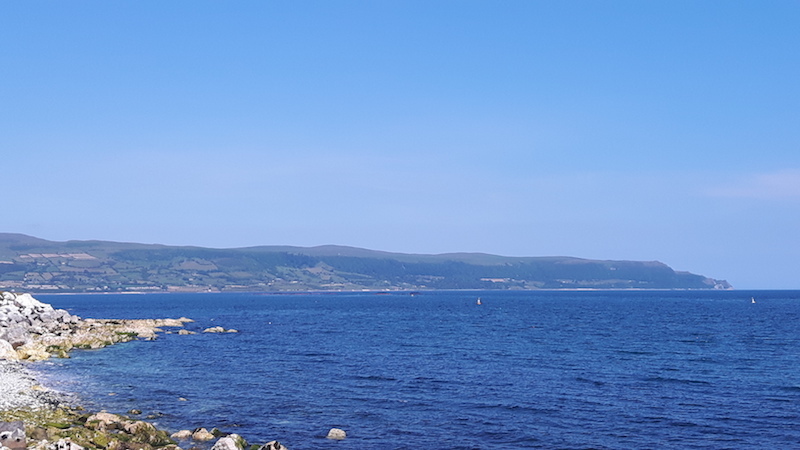 Our biggest day trip in Northern Ireland was driving the Causeway Coastal Route starting in Larne and heading north. 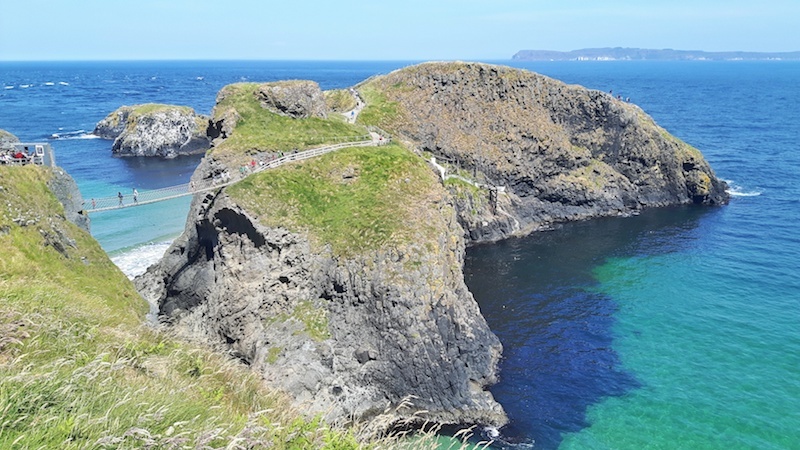 With pretty views along the way, we stopped for a few photo opportunities before arriving at Carrick-a-rede rope bridge. A Game of Thrones filming location cleverly disguised as a parking lot! We just missed a time slot for the bridge which turned out to be a happy problem that saved us £16! People are allowed to walk all the way to the bridge without a ticket. It turns out the views from the trail are far better than anything you would see on the bridge and with the crowds being herded back and forth each hour, we definitely didn’t feel like we missed anything! 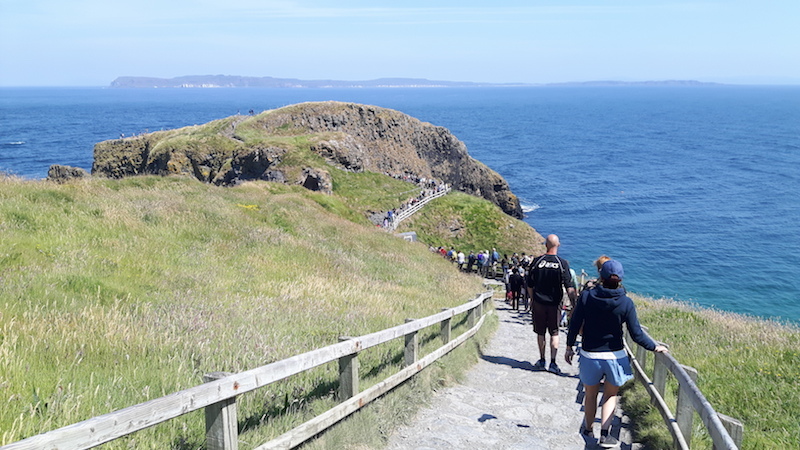 The long line to cross the Carrick-a-Rede rope bridge (45 minutes before their allotted time)! 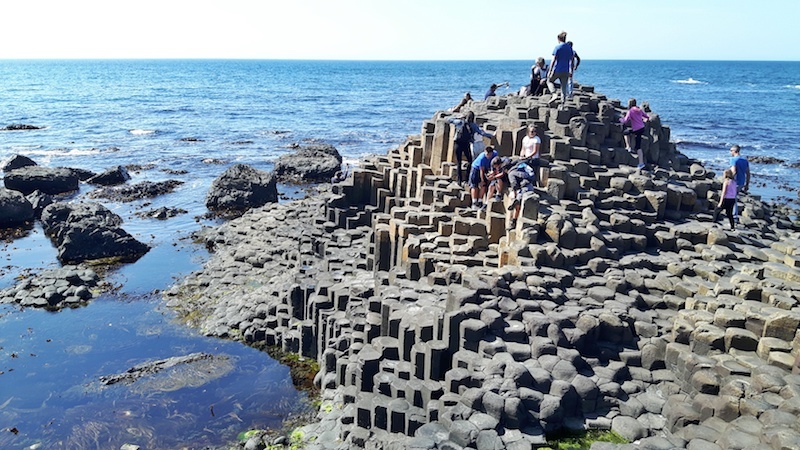 The one thing people probably think of when they think of Northern Ireland is the Giant’s Causeway. 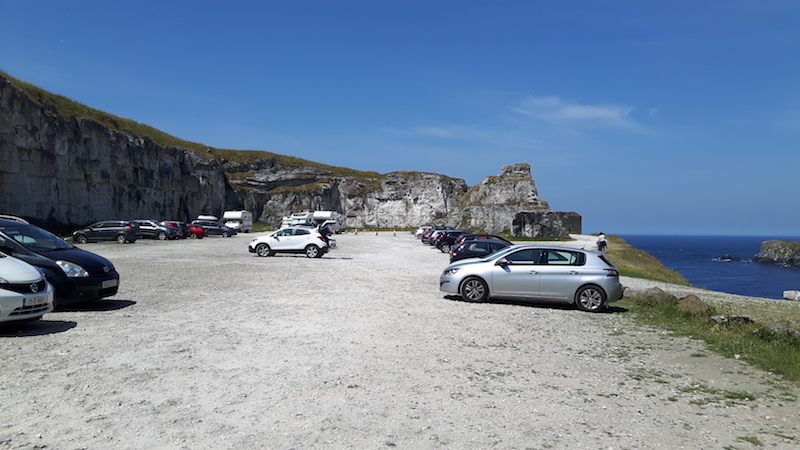 Rather than parking (and paying) for the visitor centre, we drove to the next town and hiked along the cliffs. It took a little more than an hour and was well worth it. The causeway was really busy but still an awesome sight. How such a thing is created naturally is mind-boggling! 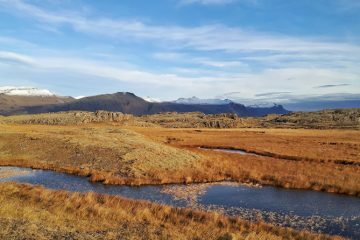 Another Game of Thrones film location, although this one is pretty cool to see (even for those of us who have never watched the show)! 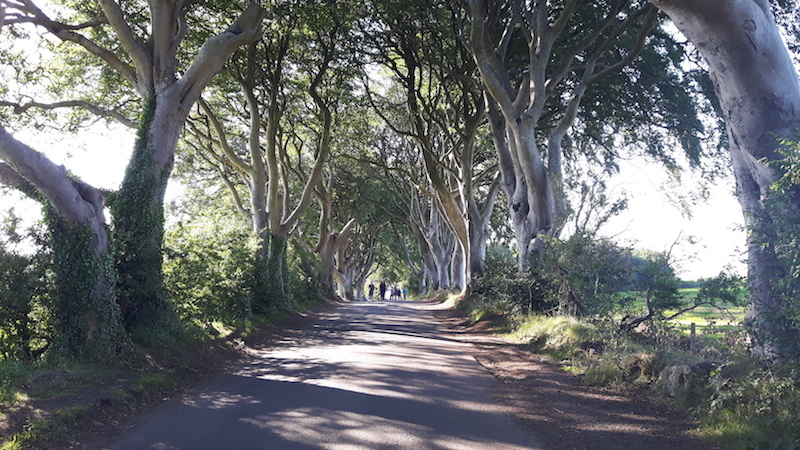 We’ve been having the best luck with the weather during our time in Ireland so the bright sun called into the question the ‘dark’ in the name Dark Hedges, but made for some interesting shadows. 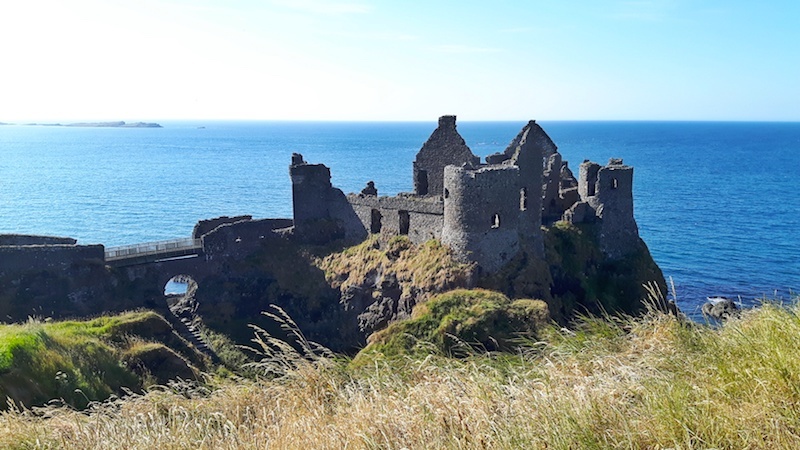 We also made a quick stop at Dunluce Castle. These ruins are perched on a cliff’s edge and make for some great photos. I didn’t manage to find the perfect vantage point for some of the sunset pictures I’ve seen of this place (well, actually I was too lazy to walk back up the hill…) but it’s still pretty attractive! The Highlight of our Road Trip? Before leaving the coast, we decided to make a quick stop in Portrush. The nearby town is home to not only a surfing beach but also Royal Portrush Golf Course, an Open Championship course. As we pulled into the car park for the golf course we saw one lonely figure putting his clubs back in his car. We pulled up alongside and quickly realized that it was none other than Darren Clarke! My favourite golfer! Whose causeway? 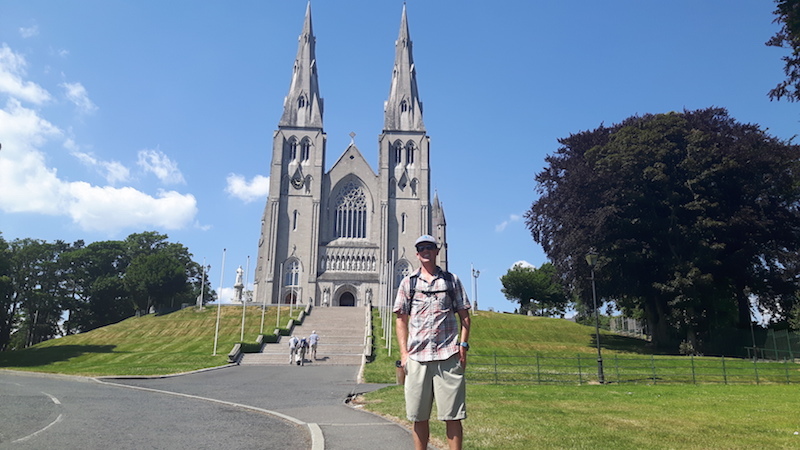 We also made a day trip to the cathedral city of Armagh. 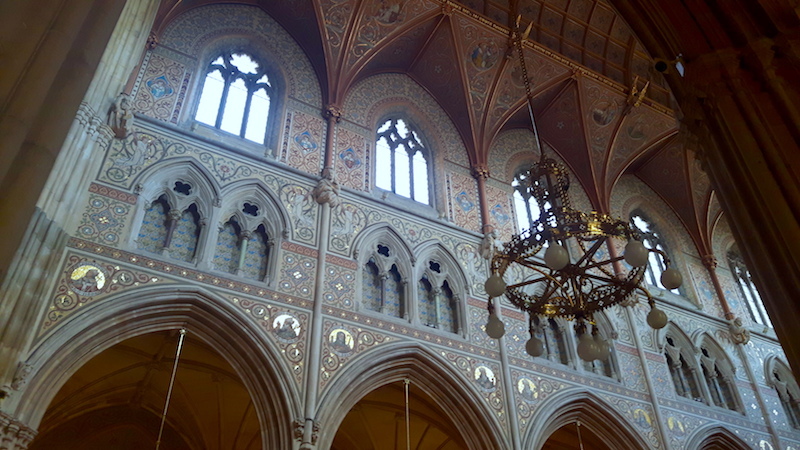 This is the home of the Archbishop of both the Catholic and Protestant churches in Northern Ireland, and also the home of Terry’s grandfather. The market square in front of the St. Patrick’s Church of Ireland Cathedral. 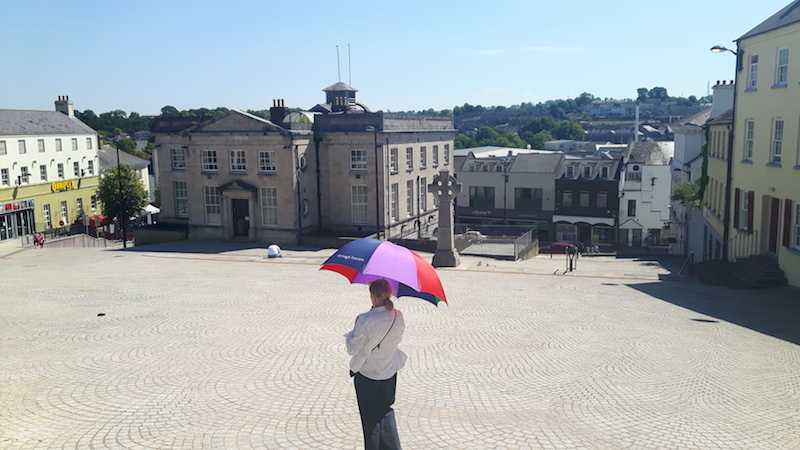 We booked the local walking tour which gave us a little of the local history before grabbing a local cider in a centuries old pub. Apparently Armagh County is the orchard capital of Ireland. 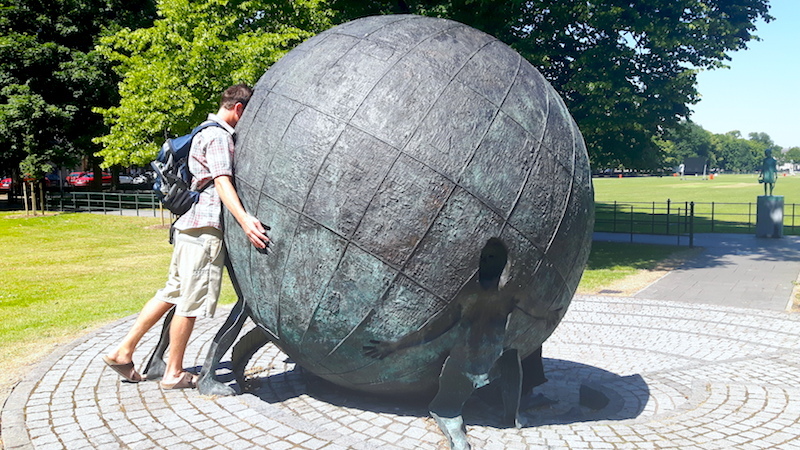 Terry discovering the universe in the statue “Turning Point” on our walking tour of Armagh. Refreshed, we took off in search of the Murphy heritage. We spent some time in St. Patricks Roman Catholic Cathedral (there is also a St. Patricks C. of I. Cathedral just down the road). The cathedral is beautiful both inside and out. From there we tried to find his grandfather’s old house. It turns out the road is now completely rebuilt with new houses so we didn’t have any luck. However, as we went to walk away we asked an elderly couple if they knew anything. The man had actually grown up on the same road and invited us inside while his wife tried to find an old picture. Part of their garden wall is the original wall from the old school his grandfather would have attended. It was an example of Irish hospitality at its best as they took our address and promised to mail the photograph and anything else they discovered to us! 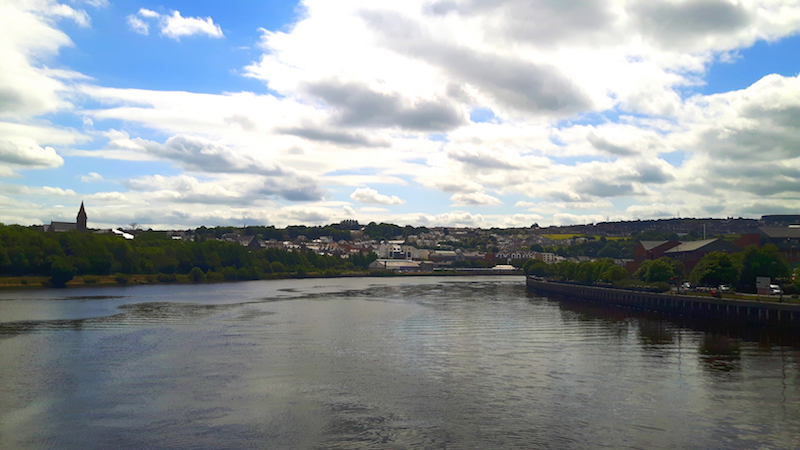 Our final day trip was to Derry-Londonderry. The name continues to be under dispute between unionists and nationalists and it was interesting to see the ‘London’ spray painted out on many road signs leading into the town. Our original plan had been to head to Belfast but decided to do this city first. We took a walking tour that took us along the old city wall. 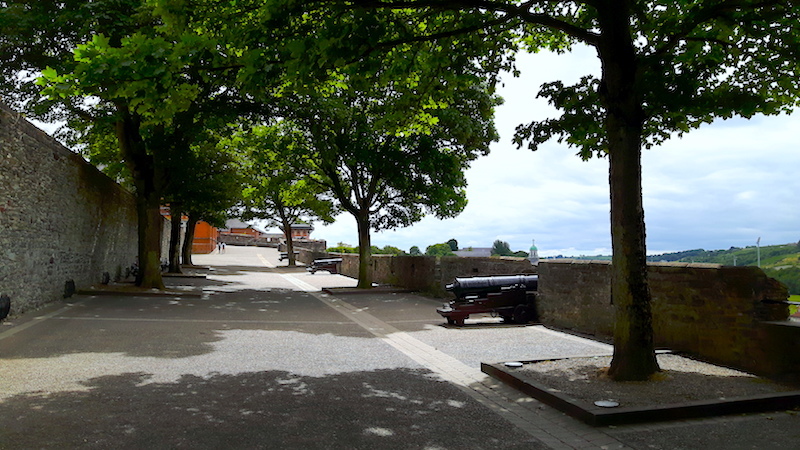 Derry is the only completely walled city in Ireland and has never been breached. It is the site of the siege during the 1600s as well as the more recent ‘Bloody Sunday’ in 1972. Our tour guide touched briefly on the new and old history of the city while leading us past a few monuments. Walking along the top of the old city wall. Afterward, we took a walk down to the Free Derry wall as well as the murals depicting the history of ‘the troubles’. 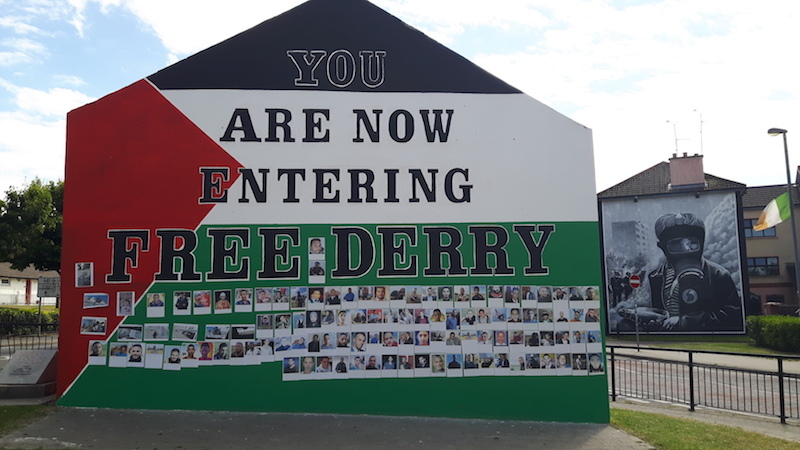 The Free Derry wall with a mural in the background. The murals tell the history of ‘the troubles’ in chronological order, ending with a peace dove designed by school children. Of course we found the time to watch a few World Cup matches while house sitting! Next week we head back to Republic of Ireland for a few more days of exploring before returning once again to Bonnie and Clyde. Watching the English lads trying to bring it home with Clyde..
← Read about last week’s road trip around the Republic of Ireland. 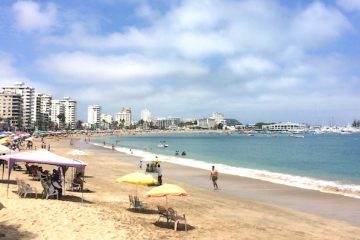 Check out our Destinations page.